Take a photo or get someone else to take a photo of the graffiti, Make note of when your first saw the graffiti, if not sure ask a neighbour. Report the graffiti to the Police (0800 6070999, get a Crime number), Report to Enforcement (294514), so the graffiti can be logged in the Data Base and further Investigations can take place. 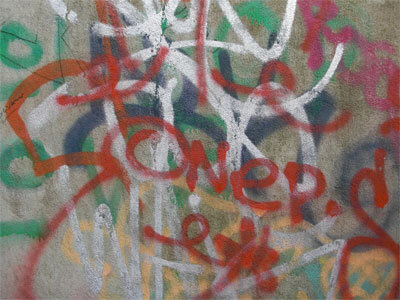 If the graffiti is racist or offensive, phone the Cityclean Helpline on 274674. Get the graffiti removed or painted over as soon as possible; graffiti artists are less likely to return to a wall that is cleaned regularly. There is now a multi-agency strategy to combat the problem of graffiti and they have produced an informative booklet. If you would like a copy, phone The Business Forum on 01273 735062.